This guide is still being modified, please excuse the text formatting. 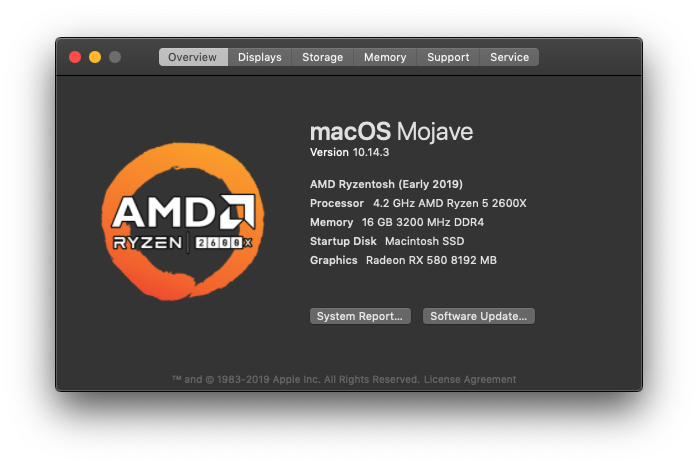 Shaneee's "Mojave AMD Vanilla Guide From Windows" thread, this guide is a modified version of his thread, for those of us already running macOS. fusion71au @ InsanelyMac for the original tutorial concept. engraveform for his Clover EFI configuration. This guide is intended for those that are already running an earlier version of macOS on their Hackintosh, or have access to a Mac. 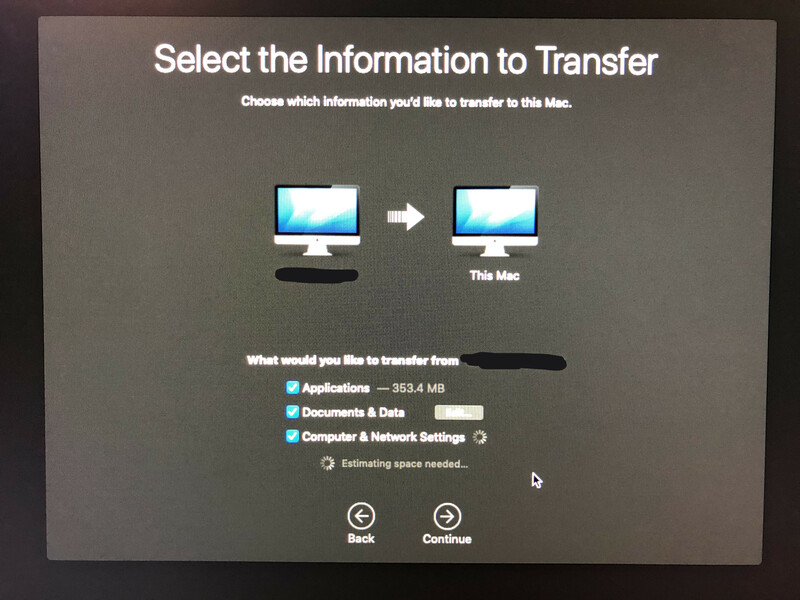 If you are running an earlier version of macOS, and would simply like to "upgrade" to Mojave, follow this guide to fresh install Mojave, then scroll down to "Step Five: Transferring from High Sierra?" for the steps needed to transfer your data. 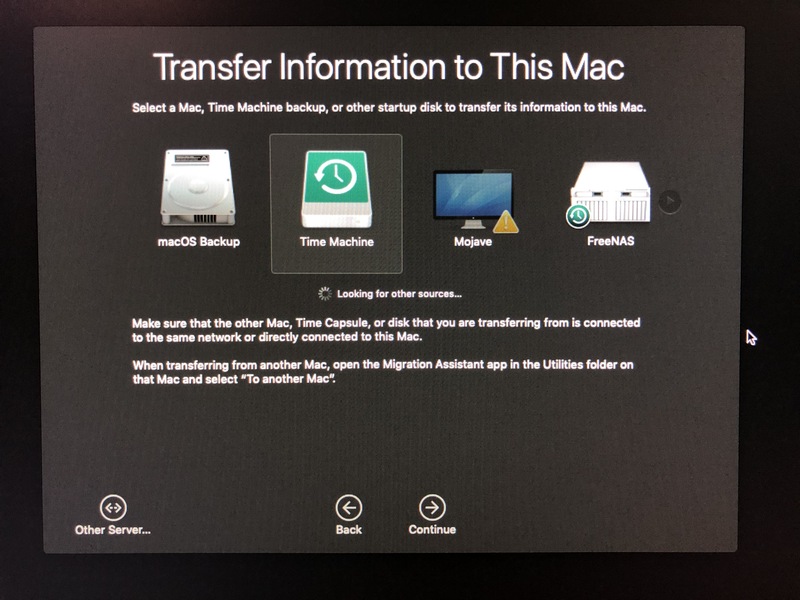 As always when it comes to running a Hackintosh, it is highly recommended that you make a full backup of your macOS boot drive, should you make a mistake during installation. This guide is not guaranteed to work for everyone, and I am not responsible if you break your installation. NVIDIA USERS: Due to a dispute between Apple, and Nvidia, there are currently no available Web Drivers for Nvidia GPU's. It is recommended that you install macOS High Sierra, until such drivers become available. 8GB or larger USB drive. macOS Mojave 10.14.1 Installer Application (available below). You may download macOS Mojave 10.14.1 from one of the links below. Step One - Creating the macOS installation drive. After obtaining your copy of macOS Mojave 10.14.1, copy "Install macOS Mojave.app" to your desktop. (If downloading from one of the mirrors provided, you will need to extract it from the .zip file). Right click on "Install macOS Mojave", and click "Show Package Contents". Next, navigate to Contents --> SharedSupport, and copy "BaseSystem.dmg" to your desktop. It is now time to prepare your USB drive. Launch Disk Utility from Applications --> Utilities. Select your USB drive from the list on the left, and click "Erase" from the menu above. For the sake of this tutorial, name the drive "USB". Select "Mac OS Extended (Journaled)" from the "Format" drop down. Select "GUID Partition Map" from the "Scheme" drop down. Click "Erase", and wait about a minute for it to complete. Select the newly created "USB" partition from the USB drive in the list on the left. Click "Restore" from the menu above. Next to the "Restore from:" box, click "Image..."
Navigate to your Desktop, and select the "BaseSystem.dmg" file that we extracted earlier. Click "Restore", and wait until completed. Depending on the speed of your USB drive, this may take awhile. If you've completed every step successfully thus far, you should now have an"OS X Base System" USB drive, containing the necessary macOS Mojave installation files. It is now time to copy the necessary AMD kernel, and prelinkedkernel. Download the necessary AMD Kernel & PrelinkedKernel from the pre-requisites at the top of this thread. Open your "OS X Base System" USB drive, and navigate to '/System/Library/PrelinkedKernels'. From the AMD.ZIP file we extracted to our desktop, copy "prelinkedkernel.amd" to the '/System/Library/PrelinkedKernels' folder. 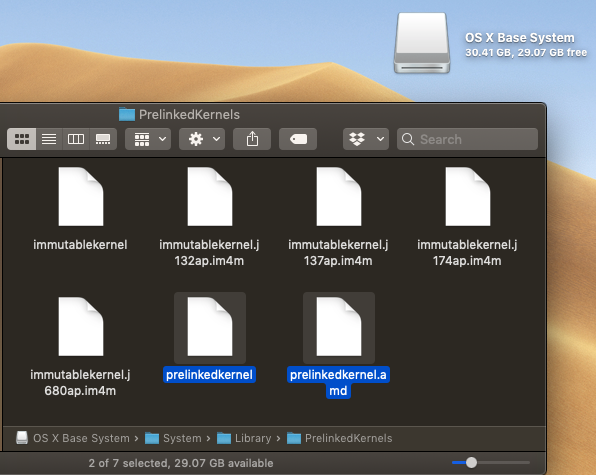 Going back to the extracted AMD.ZIP files, rename "prelinkedkernel.amd" to "prelinkedkernel", and copy that to the '/System/Library/PrelinkedKernels' folder on the "OS X Base System" USB drive as well. Now navigate back to the USB drive, and open the '/System/Library/' folder. 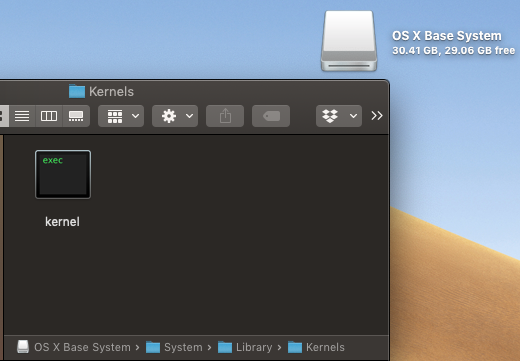 Right click, and create a new folder named "Kernels". Going back to the extracted AMD.ZIP files on our Desktop, copy 'kernel' to the newly created "OSX Base System/System/Library/Kernels" folder. We are now ready to install Clover to our USB drive, this will make the drive bootable, and get us ready to install macOS Mojave. Step Two - Making the installation drive bootable, using Clover. To setup our bootloader, we need to launch 'Clover Configurator' (available for download in the pre-requisites at the top of this thread). In Clover Configurator, select 'Mount EFI' from the 'Tools' menu on the left. You should now see two lists on your right, containing all available storage devices. 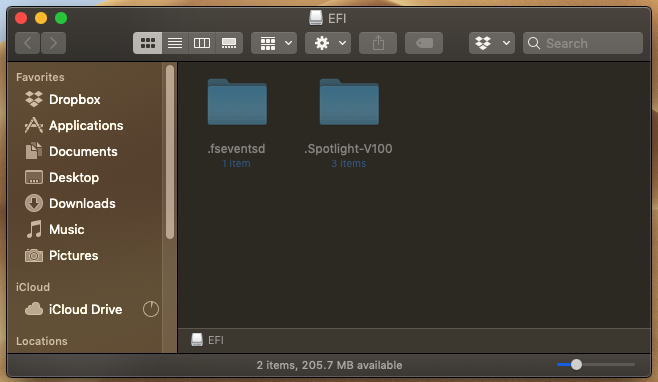 In the "EFI Partitions" list on the bottom, locate "EFI on OS X Base System". Click "Mount Partition". It may ask you to enter your password, this is normal. Now, click "Open Partition", this will bring up the EFI partition of your macOS installation USB drive. If there is a folder named "EFI" in this partition, go ahead and delete it, we will be replacing it shortly. It is now time to download the "Clover EFI" files (available in the pre-requisites at the top of this thread), and extract the 'efi.zip' file to our desktop. Select, and copy all files located in the 'efi' folder we extracted from 'efi.zip'. Navigate back to the EFI partition of your USB drive, and paste the copied files. Your EFI partition should now contain the Clover EFI files necessary to boot. Step Three - Install macOS Mojave. It is now time to boot your machine from the USB installer. Before we do so however, we have to change a few settings in our bios. Enable 'EHCI Hand-Off' (If your machine does not have this setting, do not panic). Set boot mode to UEFI. Set Secure Boot to 'Other OS'. When you are done configuring your bios, you can save, and reboot. Upon boot up, access your boot device menu, and select the EFI partition of the USB drive. If you followed the tutorial up to this point, you should now be greeted with the Clover bootloader. Click 'Install macOS from OS X Base System'. The installer is going to boot in verbose mode, do not be intimidated by the text running up your screen. Should you run into any problems during this process, this text will help narrow down the cause. When the macOS Installer appears, launch Disk Utility. 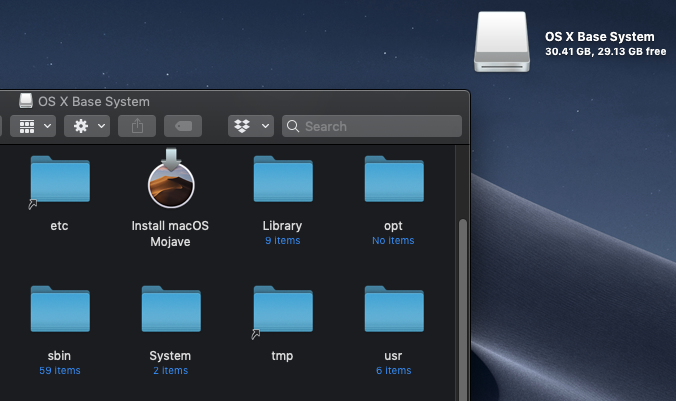 Select your desired Mojave install drive from the list on the left, and click "Erase" from the menu above. For the sake of this tutorial, name the drive "Mojave". When you are finished formatting the drive, quit Disk Utility, and launch the macOS Installer. Install macOS to the drive we just formatted. Depending on your hardware, this may take a little while. When the installer is complete, your machine will automatically reboot. Access the boot menu once more, and boot from the EFI partition of the USB drive. Just like before, click 'Install macOS from OS X Base System'. Do NOT boot from the drive you installed macOS to, we are not at that point yet. When the macOS Installer appears, launch Terminal from the Utilities drop down in the menu bar. Execute the following commands in Terminal, one at a time. After executing each of these commands successfully, reboot your machine. From the boot menu, boot from the EFI partition of your USB drive. When Clover appears, boot from 'Install macOS from Mojave', we are NOT booting from the 'OS X Base System' drive this time. If you followed the tutorial up to this point, you will be greeted with verbose text, followed by the Apple logo, and an installation timer. This will take some time to complete. When done, the machine will automatically reboot. Access your boot menu, and boot from the EFI partition of your USB drive. When Clover appears, boot from 'Install macOS from OS X Base System' once more. When Clover appears, you may now boot from the drive you installed macOS Mojave to. It is recommended that you disconnect your machine from the internet while completing the setup of your Hackintosh. If you attempt to login to iCloud from the setup dialog, it will break the setup, and you will have to reboot your machine. You may connect to the internet after completing the macOS setup dialog. Now create a temporary user account "Temp User" with password "password" and home directory "temp"
dscl . -create /Users/temp RealName "Temp User"
dscl . -create /Users/temp UniqueID "510"
So macos will now directly take you to the login screen . where it will ask you to enter password . type password and hit enter to login. you will reach Data & Privacy screen again so click next to proceed ( don't worry, it wont reboot now ) and so after few clicks you will reach Desktop . Finally delete this Temp User account by going into System Preferences -> User & Groups. Step Four - Install Clover Bootloader. 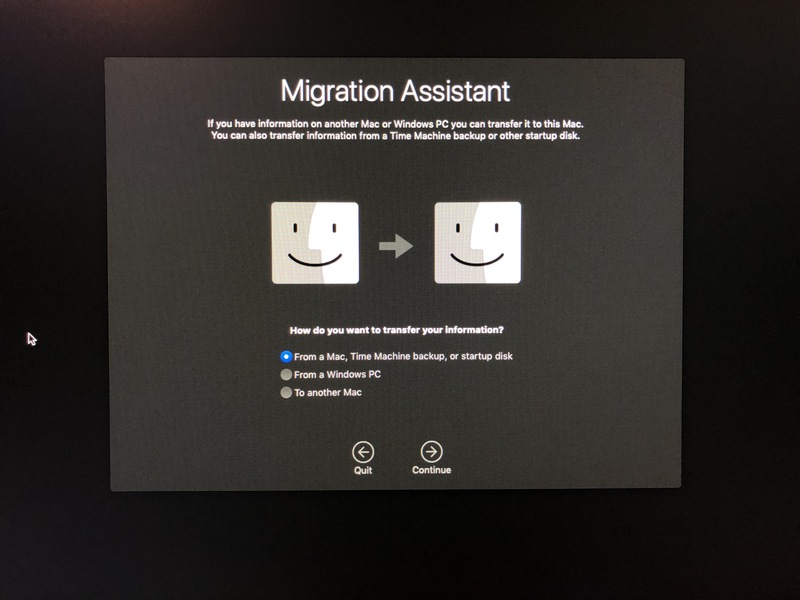 This is the final step in installing macOS Mojave, this will allow us to boot directly from the macOS installation drive, without the need for our USB drive. 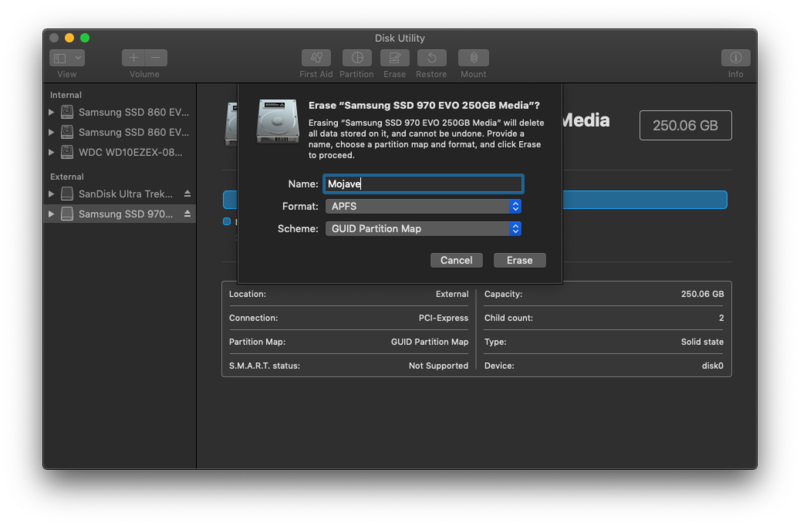 This is almost identical to 'Step Two' of this tutorial, however, instead of modifying the EFI partition of the USB drive, we are modifying the EFI partition of the drive we installed macOS Mojave on. In the "EFI Partitions" list on the bottom, locate "EFI on Mojave", or "EFI on APFS Container [Mojave,VM,Preboot,Recovery]". Now, click "Open Partition", this will bring up the EFI partition of your macOS Mojave boot drive. 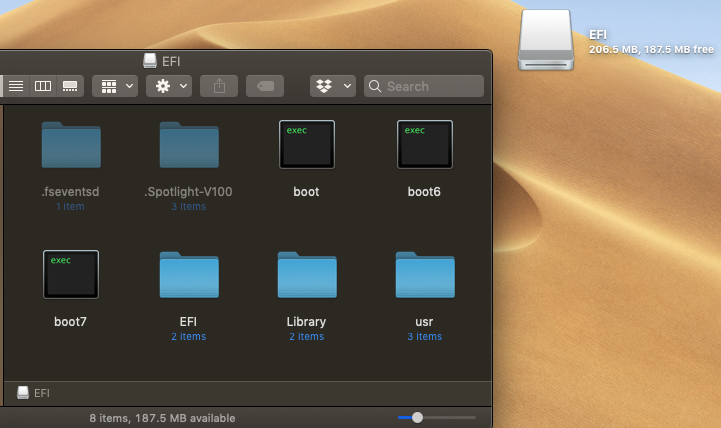 Navigate back to the EFI partition of your Mojave boot drive, and paste the copied files. Your EFI partition should now contain the Clover EFI files necessary to boot, you can now remove the USB drive, and reboot your system. At this point, you should be able to reboot your system, and boot from the drive we installed macOS Mojave on. (OPTIONAL) Step Five: Transferring from High Sierra? If you are coming from macOS High Sierra, and wish to retain all of your data (Applications/Documents/Settings), complete the following steps. Step One: Launch 'Migration Assistant' from Applications --> Utilities. Step Two: Select your method of transfer, and click Continue. ( For the sake of this tutorial, I will be transferring data from a Time Machine backup ). Step Three: Choose the backup you would like to restore your data from, and click Continue. Step Four: The Migration Assistant is going to ask which data you would like to transfer. If you're looking to return to the state your machine was in with High Sierra, select every option, and click Continue. Step Five: You are going to be asked to enter the password for the account associated with your High Sierra install. It will also ask if you'd like to retain, or delete the user account you created during the macOS Mojave installation. You can remove it if you wish. At this point, the Migration Assistant will begin transferring your data. Depending on the data being transferred, this could take awhile. Having trouble getting macOS installed? It may be as simple as skipping a step, try re-reading the tutorial before seeking assistance. If you have any suggestions on how to improve this guide, please send me a private message, thanks! Will try on weekend, thanks for good explanation of every step! Anyone had luck with installing it to VM yet? Thank you for the effort on writing this guide. Mojave ZIP file is damaged and it cannot be installed. How to change mojave's logo in system's info? Thanks for the guide. I am going to try it now. Are you able to update to version 10.14.3 without a problem? Which file in particular are you having trouble with? If any of the linked files are giving that error, please try to re-download them, they are not damaged. 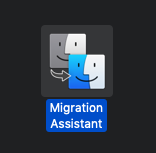 Marcyvee wrote: How to change mojave's logo in system's info? There is a handy tutorial over on tonymacx86 that I followed to change mine. It requires the use of Xcode, but is not all that difficult if you follow this tutorial. t.yan3z wrote: Thanks for the guide. I am going to try it now. Are you able to update to version 10.14.3 without a problem? If connected to the internet during the install process, it should update to 10.14.3 on its own. (This is being reported by other users, myself included). I have not tried to do a clean install, and update via System Update. What are your system specifications? (Detailed, if possible, this will help us provide a better solution). - Ensure your bios is configured correctly. - Try moving the USB drive to a different USB port. USB 2 if possible. - Try re-creating the USB install drive. I didn't wipe my macOS drive just because I have a working High Sierra there so I've decided to partition the drive, install Mojave and if everything goes well, format and merge the High Sierra partition. Obviously there's a new way Apple handles drives and partition maps so you could simply create a "virtual" volume instead of partitioning. That's what I did. I'll try by performing a normal partition later and will come back to you but I doubt this is the problem. I've configured the BIOS as per the guide though I didn't find some settings (USB Legacy option missing got me stunned). I've tried two USB ports - 3 and 2. And kind of an off topic but did the USB kexts / handling changed in some way in Mojave and Ryzentoshes? Since booting my existing High Sierra from the USB drive created following this guide results in no usbs working. Not even mouse/kb, while booting the Mojave installer the peripherals seem to work as expected. - Cannot access safari options, safari stops working. Did you have the same problems and is there any way to fix them?